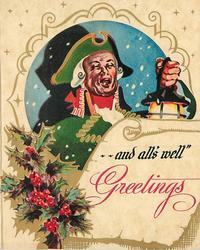 inside right: HAVE A REAL GOOD TIME - IT'S CHRISTMAS! 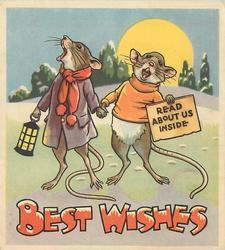 inside: IT'S CATCHING THIS CHRISTMAS FEELING I MUST KEEP IT UP BY WISHING YOU ALL THE BEST! 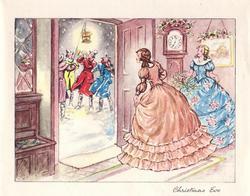 inside bottom: CHRISTMAS DAY IS COMING! 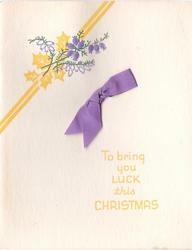 A GLAD OCCASION TOO, BECAUSE IT MEANS ANOTHER CHANCE TO WISH GOOD LUCK TO YOU! 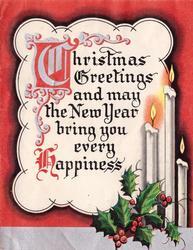 inside right: CHRISTMAS IS THE SEASON OF FRIENDSHIP AND GOOD CHEER .... HAPPINESS TO DWELL WITH YOU ALL THE NEW YEAR THROUGH! 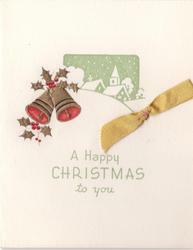 inside right in green: TIS IN THE WINTER OF THE YEAR, WHEN DAYS ARE DARK AND CHILL .... GLADNESS BE YOURS THIS CHRISTMASTIDE AND ALL THE NEW YEAR THROUGH! 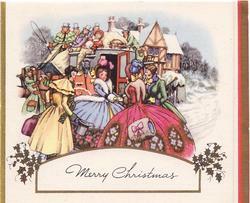 inside right in green: OLD FRIENDS, OLD TUNES, OLD WAYS, OLD HAPPY CHRISTMAS DAYS ... ALL JOY BE YOURS NOW CHRISTMAS COMES AGAIN! 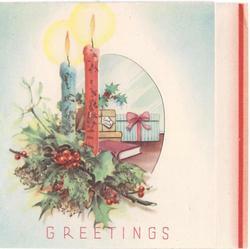 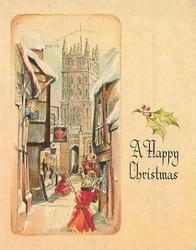 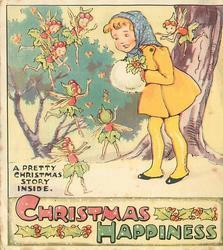 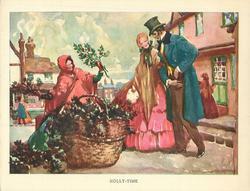 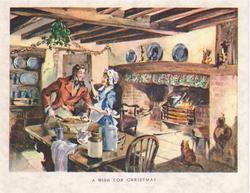 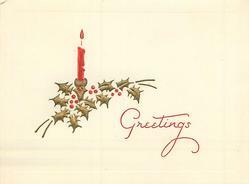 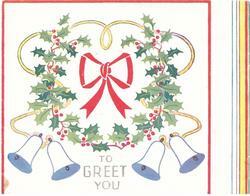 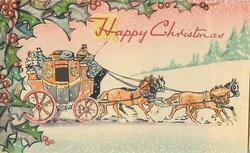 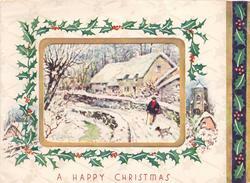 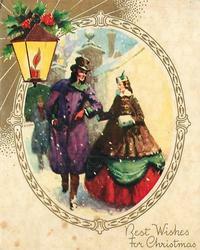 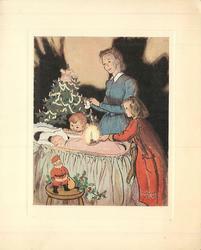 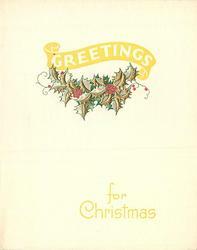 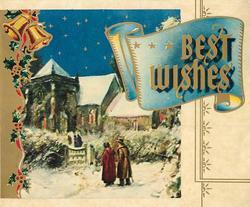 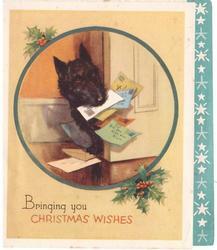 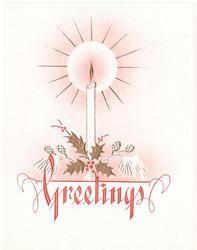 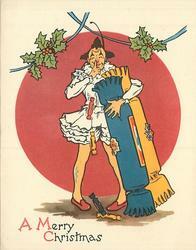 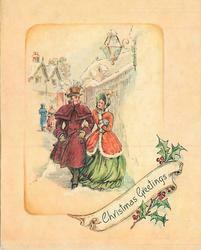 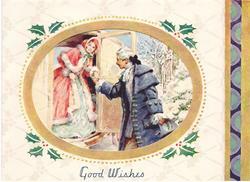 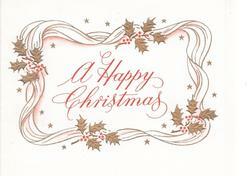 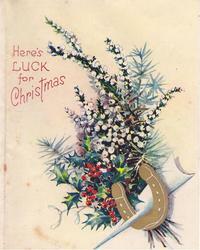 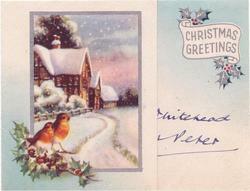 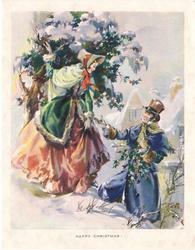 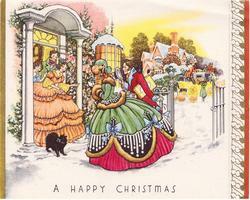 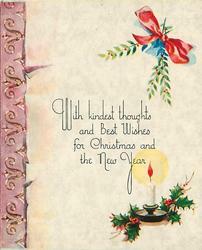 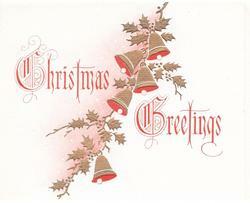 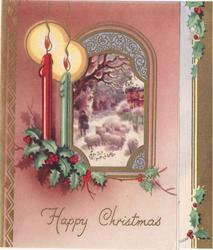 inside right: TODAY THOUGH MANY A GREETING CARD ... CHRISTMASTIDE! 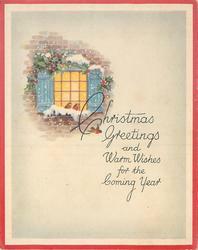 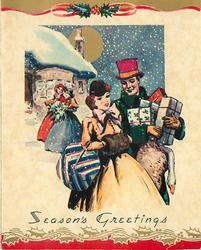 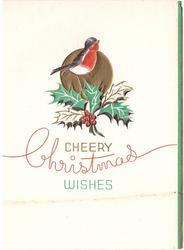 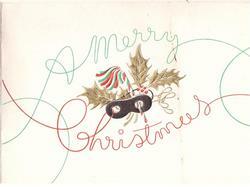 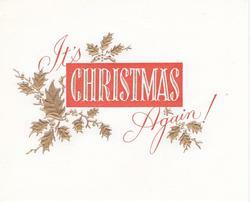 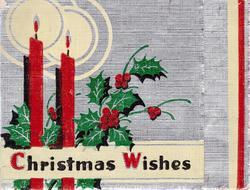 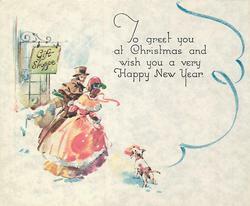 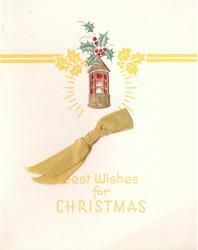 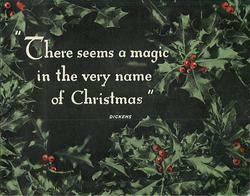 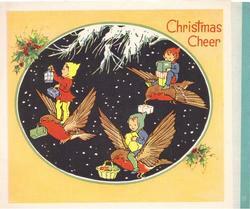 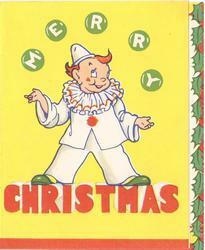 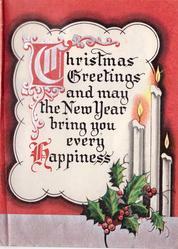 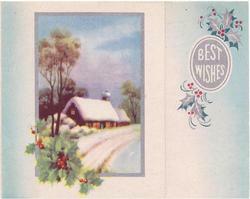 inside right: HERE'S AN OLD FASHIONED WISH IN AN OLD FASHIONED WAY GOOD CHEER TO YOU AND YOURS THIS CHRISTMAS DAY! 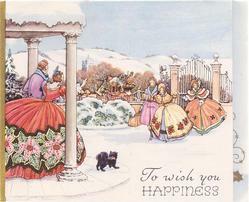 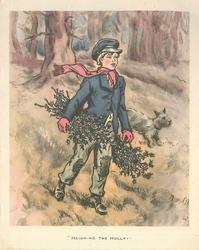 inside right: IN THE WINTER OF THE YEAR ... CHRISTMASTIDE AND ALL THE NEW YEAR THROUGH!